Even if you haven’t visited Brussels before, you no doubt know a few things about the city already: it’s the centre of European decision-making, produces world-class beer, mouth-watering chocolate and waffles. Now what you may not realise is that the city offers a unique blend of culture, international business and leisure all combined with its own distinct national flavour. Evolving from a combination of Flemish, Walloon, European and global influences, Brussels is a true melting pot. Where else can you have a meeting at the European Parliament, enjoy Ethiopian cuisine and sip a fine Trappist beer in an art-nouveau bar once frequented by the world-famous Belgian singer, Jacques Brel? This city will greet you with its different neighborhoods and their secrets, each one offering an experience totally distinct to the next. Try the traditional dish of mussels and chips on the rue des Bouchers or head over to the Sablon for Italian or French cuisine. There are literally hundreds of eateries ranging from Tex-Mex to Sushi and all within walking range of SQUARE. Dotted around the city are numerous "ateliers" - all dedicated to creating the finest chocolates. Brussels boasts the title of the greenest capital in Europe. Just over 50% of the city is classified as green space. This is achieved by a succession of parks which wind their way through the urban landscape with the lion's share of this green area provided by a 4,000 acre ex-royal hunting ground, the Forêt de Soignes. A walk in the woods is therefore never far from the city centre. For the seventh year in a row, Brussels maintains its position as the most active and visited conference capital in Europe and the second in the world, only by Singapore but ahead of Paris, Vienna and Tokyo. Far from being complacent, this city is intent on offering much more and is busy building a future that reflects modernity and positive progress with an infrastructure to match. 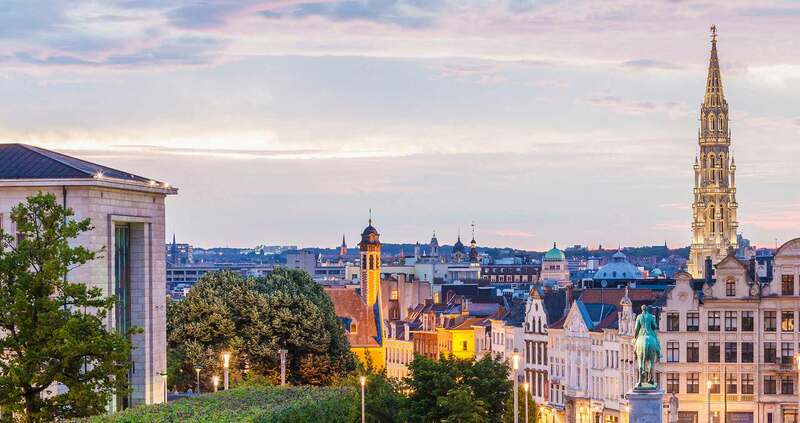 The area surrounding SQUARE is a hive of cultural activity: you can visit the rooftop terrace of the MIM museum for the best vista over Brussels or take look at one of the exhibits at the BOZAR, an art-deco masterpiece by the architect Victor Horta. Equally close to SQUARE is the Magritte museum and UNESCO World Heritage site of the Grand Place. Besides the European Parliament, Council and Commission, the capital houses over 2200 active international associations. Then add the NATO Headquarters, EUROCONTROL and the regional headquarters of many multinationals. All of these organisations and companies are attracted by the quality of the workforce, transport links, outstanding telecoms infrastructure, and the need to be at the very heart of the debate. With over 80 bars serving some 400 beers and with names like Delirium or Mort Subite- Sudden Death - you can expect an authentic and unique experience. The charming Place St Catherine is reputed for seafood whereas the area around St Géry will serve more oriental flavours. Inner-city Brussels is well connected thanks to an efficient public transport network, including metro, tramways and buses. The town centre uses a unified ticketing system and the same ticket can be used for a combination of bus, metro and tram, for 1 hour from the time of validation. Over 150 international and Belgian pharma and biotech firms have firmly implanted themselves in or around Brussels. Research facilities and qualified multilingual personnel are a major incentive while Brussels international airport is a key pharma distribution hub, and a recognised centre of excellence. 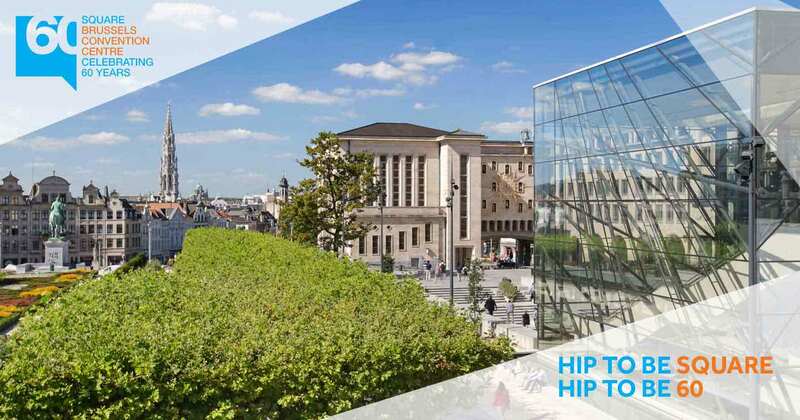 The Brussels region is also home to an enviable healthcare infrastructure with 23 hospitals. The quaint Place du Sablon is host to internationally renowned antique shops, with a pop-up market every weekend. Nearby, in the old Marolles district, take a stroll along rue Blaes to enjoy the eclectic choice of homewares. Belgium's avant-guard fashion boutiques are concentrated along rue Antoine Dansaert, near the Stock Exchange whereas top international brands can be found on Avenue Louise. More affordable shops are scattered just off the avenue and in covered galleries. Don’t miss the beautiful 1900 Saint-Hubert gallery, near SQUARE, and its gorgeous shop windows.